This is a savory addition to our specialty line of gifts. 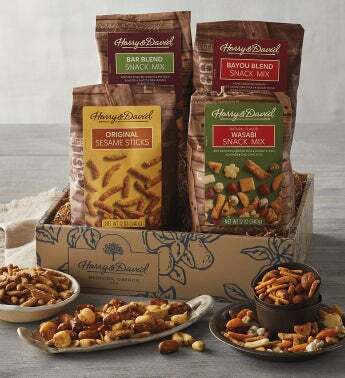 The Premium Snack Assortment features a quartet of delectable gourmet snacks. From classic sesame sticks and wasabi snack mix to our Bayou blend and Bar Blend mix, this gift is sure to delight snack lovers with even the most discerning palates.